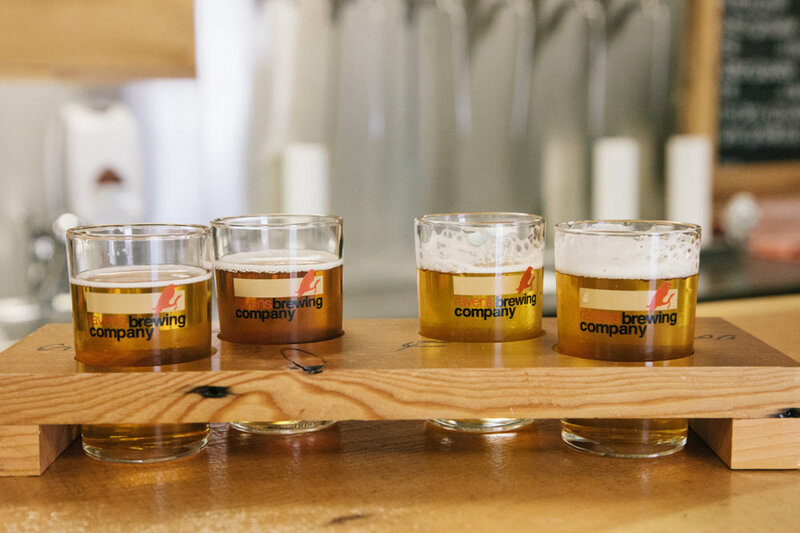 Last week I got the chance to spend the day travelling around the Fraser Valley with a few other bloggers, navigating our way around some of the breweries and wineries in the area. The day started out in Langley, with the first stop being Tracycakes Bakery for breakfast. I ordered the “Baby Dutch Pancake” which they make from scratch on the spot. I had trouble waiting for it to cool down so I could eat it because it looked, smelled, and tasted so great. From there we started our beer and wine tour over at Dead Frog Brewing (in Aldergrove). I’ve had many of Dead Frog’s beers in the past, and it was nice to see where they came from, and try a few new ones. In fact, I might have to go crack open one of the bottles I got to bring home while I write this post. Luckily we had burned off breakfast, because our next stop was lunch at Bacchus Bistro at Chaberton Estate Winery. We had some amazing food, paired with their wines, got a tour of the vineyard, and sampled some more vino in the wine bar. Heading over to Abbotsford we found Mt. Lehman Winery, and tried the same wine from 4 different types of barrels (so different), and the two bloggers I were with got a super quick zip around the vineyard on a Gator. Just down the road we pulled into Singletree Winery, which was fairly new but had a good selection of wines on hand, and the grapes were almost ready to come off the vines. Finally we headed over to Ravens Brewing, which was also very new, and sampled some of the great beers on tap. I definitely filled my growler up with the Raspberry Hefeweizen, which they made with hundreds of pounds of raspberries grown in the same area. So delighted to be part of this trip. I’m going to make a whole separate post about our final stop, Cultivate, a long table dinner at a corn maze in Chilliwack!